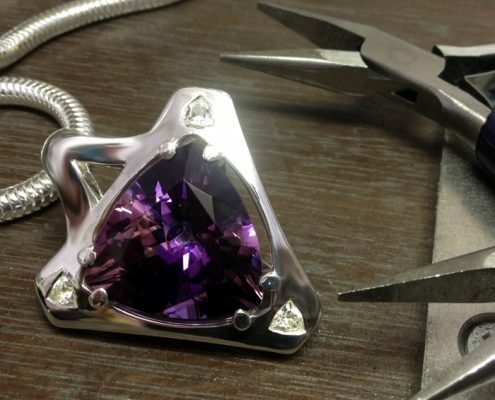 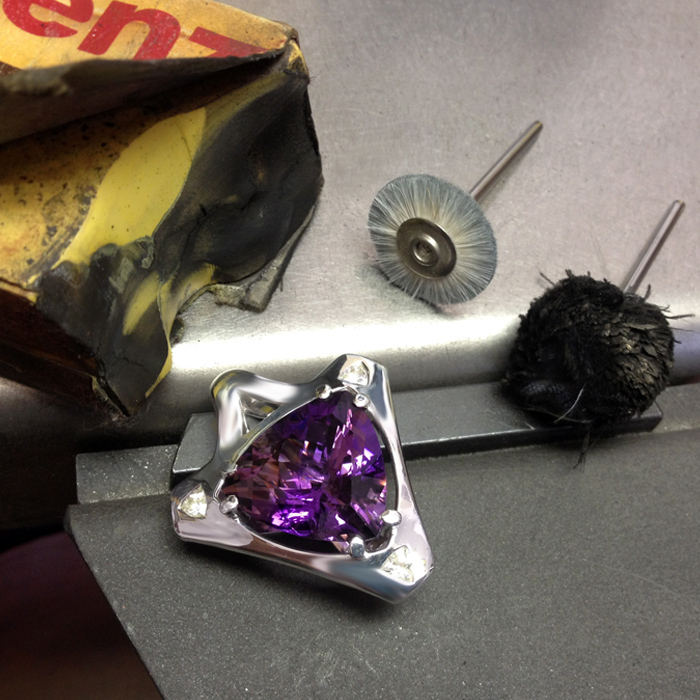 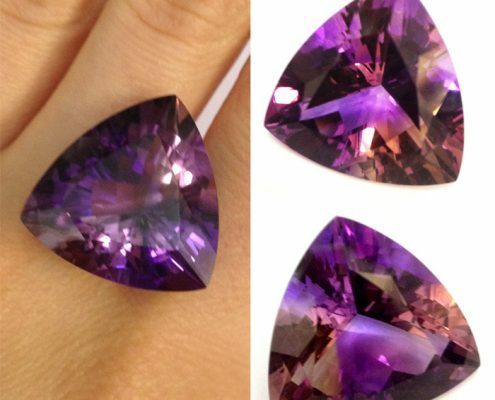 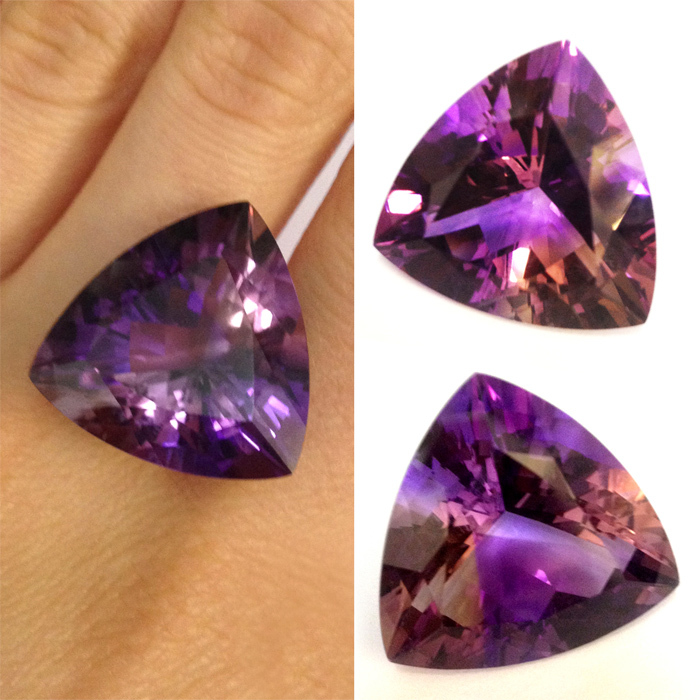 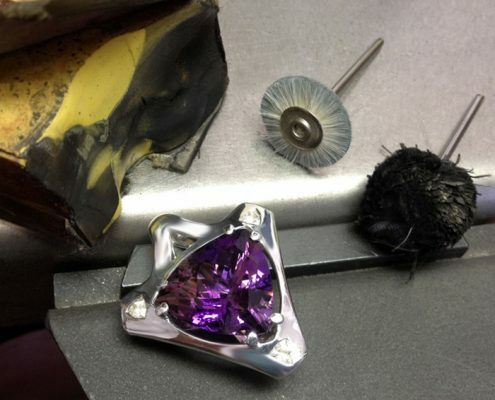 The stunning natural 31.57ct Trillion Portuguese cut Ametrine is the centre stone for this piece and was sourced with the clients involvement. 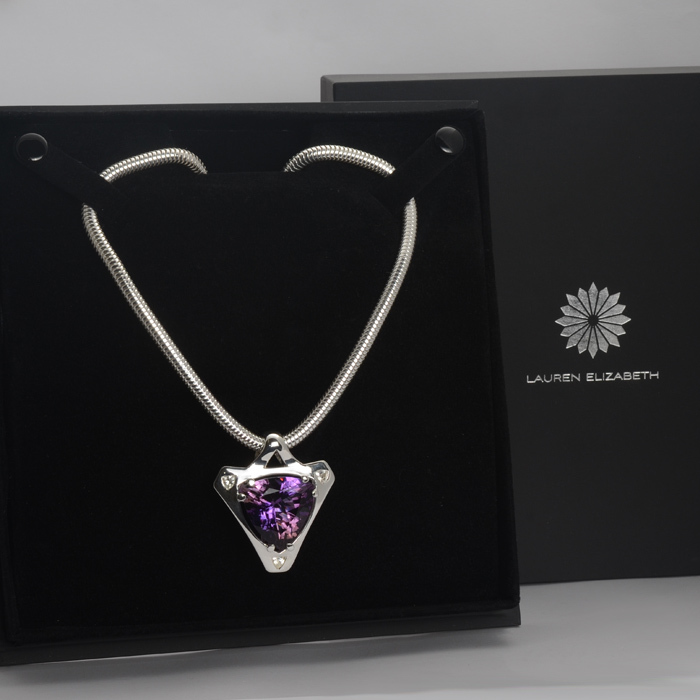 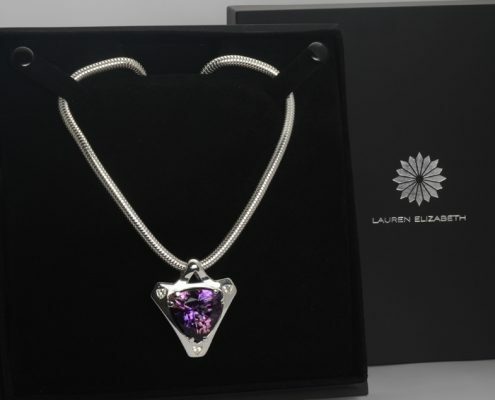 The design takes inspiration from Lauren Elizabeth’s ‘Anahi’ pendant, but echoes the trillions shape with triangular White Sapphires accenting each of the three points. 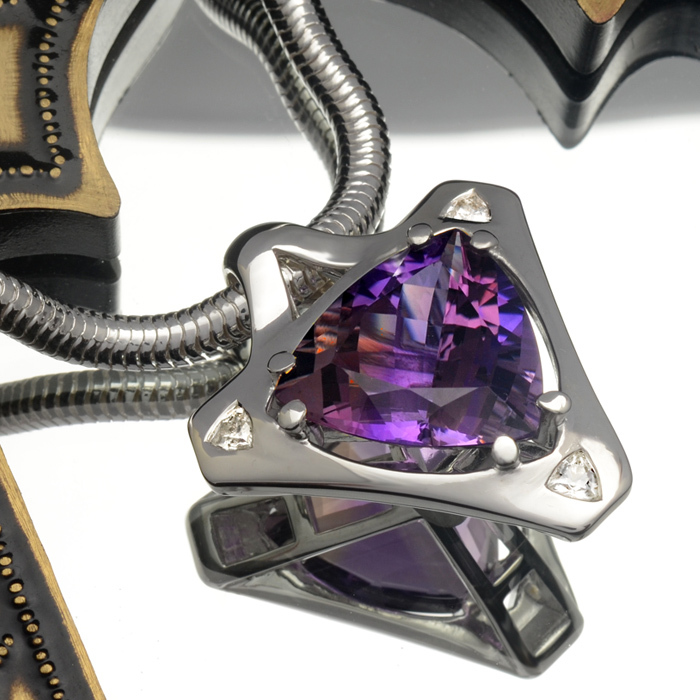 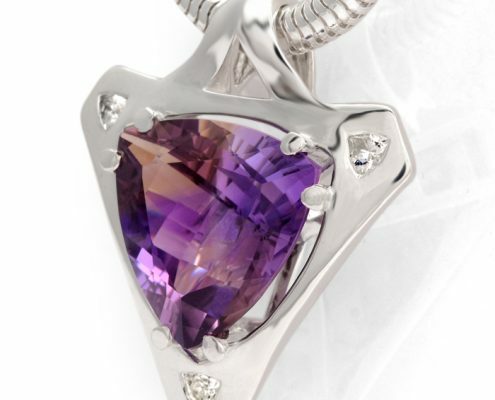 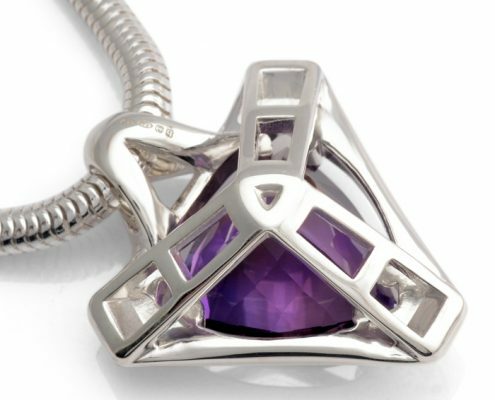 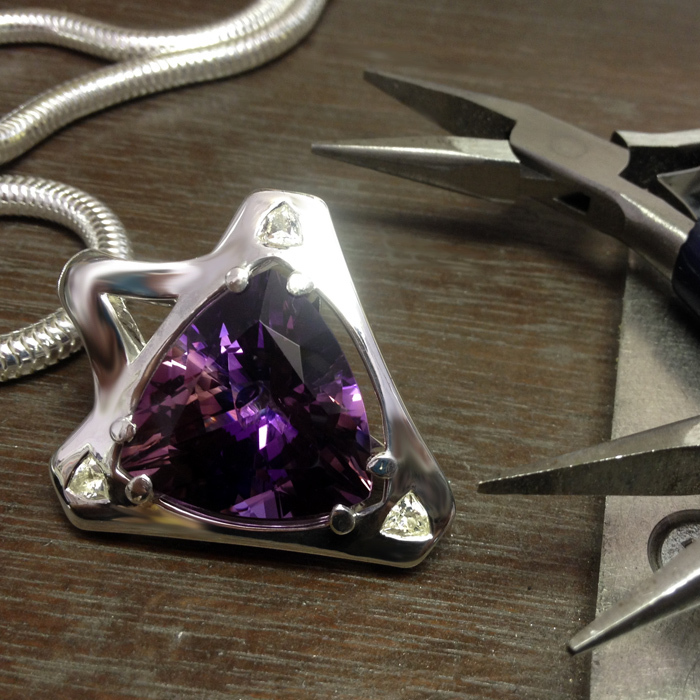 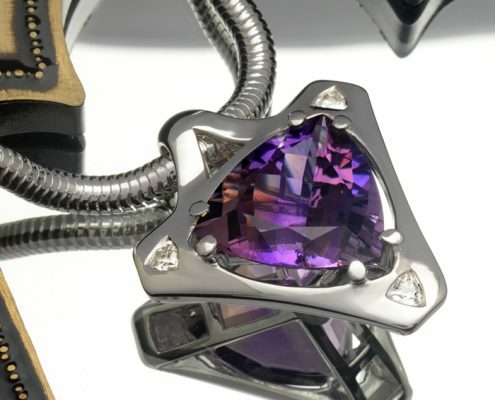 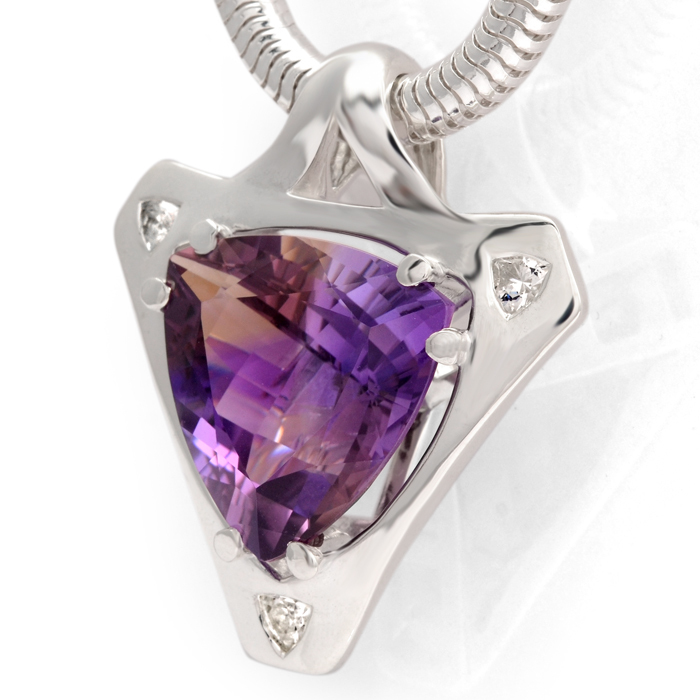 A detailed structural under basket houses the Ametrine letting in maximum light, whilst pear shaped claws secure it in place within its surrounding frame. 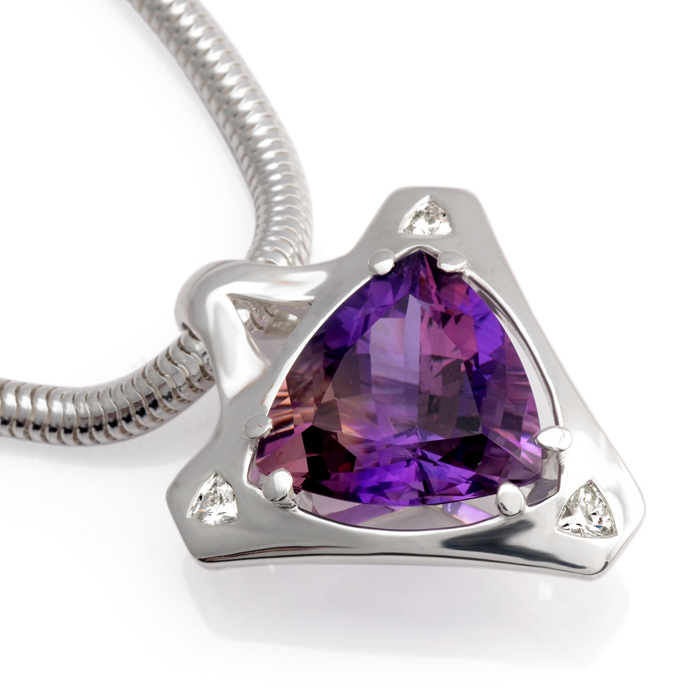 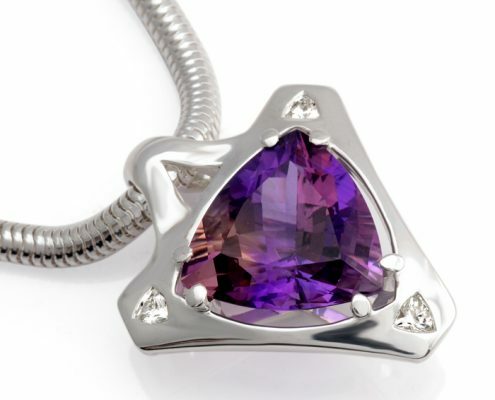 The gorgeous combination of purple and yellow in this beautifully cut stone looks stunning as it catches the light, with the added twinkle of its bright polished Sterling Silver surround. 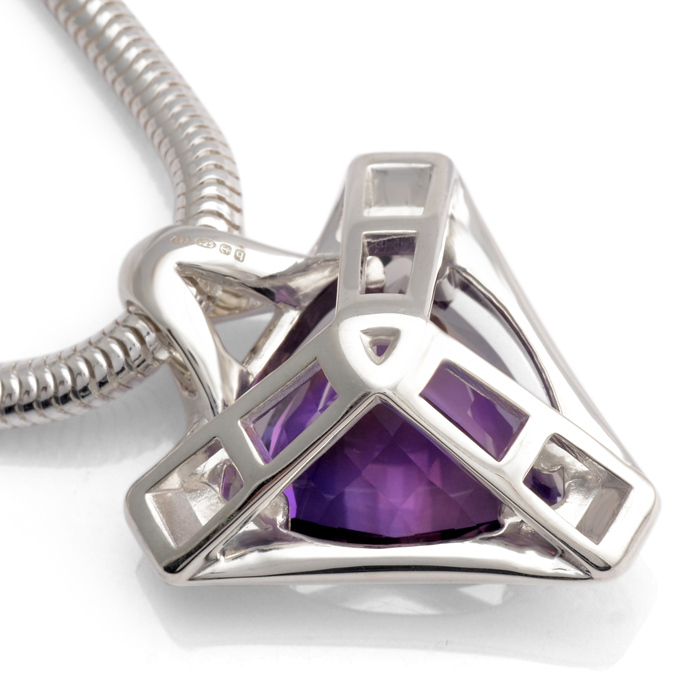 Suspended on a Sterling Silver snake chain.